6 What's race got to do with it? Earchiel Lee Johnson was a Computer Support Assistant at Tulsa Community College, Tulsa, Oklahoma Area, he later moved to Chicago. 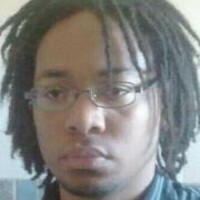 Earchiel Johnson, was a member of the Young Communist League USA in Chicago, in 2013. Earchiel Johnson has established the YCL writing collective and has encouraged members to write on the Affordable Care Act, LGBT issues, and more. Another great photo, taken by Earchiel Lee Johnson, of the YCL Haymarket Club. — with Julio Gomez, Andrea Perkins, Evlynn Aine and Josie Dykas. With Patrick Morales, Emiliana Sparaco and Patrick Foote. In July 2015, Admin at African American Equality Commission Communist Party USA FaceBook group were Chauncey Robinson and Earchiel Lee Johnson. "What's race got to do with it? Class, ethnicity and conflict in an evolving U.S. nation"
Join us for a Sunday evening discussion of Lenin's analysis of nations and national oppression and their applicability to 21st century America. Joe Sims will facilitate. Those invited to participate on on Facebook included Earchiel Johnson. This page was last modified on 29 March 2019, at 19:16.